Have you ever seen a piece of pizza on the floor of the subway and thought to yourself, ‘wow that looks delicious, I wish I could fight another human being for the right to eat this greasy floor treat’. If you answered ‘yes’, and let’s be honest who wouldn’t want to eat pizza that’s been on the floor, then we’ve got an amazing video you may find relatable. 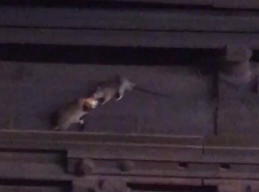 The video, which was filmed Tuesday (September 11), shows two rats at Manhattan’s Grand Central–42nd Street station, fighting over a piece of pizza that had fallen onto the tracks. The pair have a little tug of war over the cheesy treat until one finally gives up. Thankfully there was someone on hand to film the rodent’s pizza based squabble. I was tempted to ignore it but even I, a jaded New Yorker, had to pause and appreciate this magical moment. Thank God they did take the time to get out their camera phone and record this truly magnificent moment though, because if they hadn’t, mankind would have missed out on nature’s majesty. 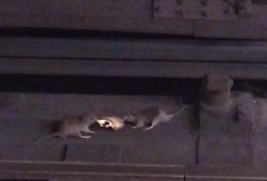 You see, while the uninformed and ignorant may watch this video and see two rats fighting over pizza they’re missing the bigger picture, this fleeting squabble between rats is a metaphor for society as a whole. The rat who loses isn’t just a rat who doesn’t get pizza, it represents the 99 per cent who have to literally fight every day to put food on the table and provide for their families. The other rat, the one who wins and gets the biggest slice of pizza, represents the one per cent who take the lion’s share of, well, everything in our modern lives. But the sad fact is, they’re both rats, both trying to make their way in the world, however they can. If they could just learn to share the pizza then society as a whole would benefit. It’s actually quite a beautiful video when you take the time to think about it and look past the fact this is literally a video about two rats fighting over some food. 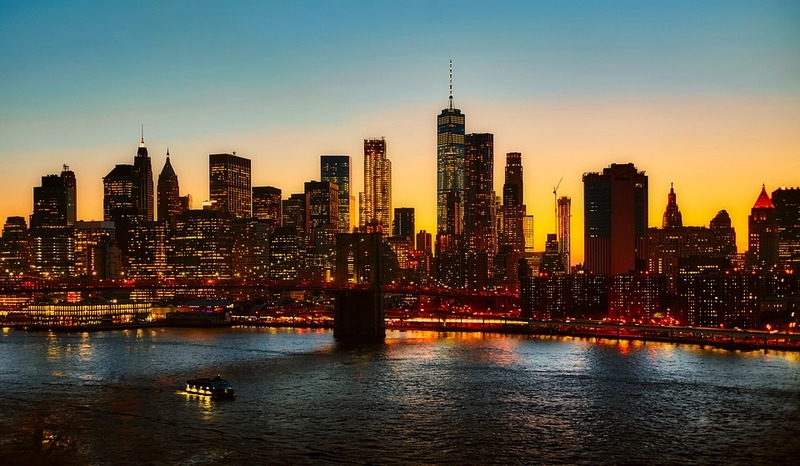 New York is, of course, famous for its pizza-loving rodents, most notably Pizza Rat who shot to international stardom back in September 2015. Pizza Rat (Real name unknown) was a tenacious New York native who was spotted dragging a piece of pizza down the stairs at the First Avenue L train station in Manhattan. Standup comedian Matt Little, who presumably saw big things in the rat’s future, recorded a video of the rodent and posted the clip to Facebook and Instagram. The video immediately went viral with more than two million people watching it in the 24 hours after it was uploaded. Where’s Pizza Rat now? We don’t know but some journalists (me) have suggested the fame was too much for him and he went into hiding to avoid being consumed by his new celebrity. Other pundits (again, me) have pointed out rats only live for between one or two years so Pizza Rat is probably dead, another victim of our celebrity culture.